Primers. The thing that will make or break your makeup after a few hours, well in my opinion anyway! My holy grail primer has changed throughout the years but since last year it's been the Smashbox Hd Primer, it just keeps my makeup looking fresh all day and keeps it all in tact. But I wanted to try something new because this heat has been making me feel as if I'm melting and underneath all my makeup I can guarantee that my cheeks are as red as a tomato. I decided to pick up the Smashbox Photo Finish Primer Water last month after a friend had recommended it to me. Now I was so doubtful about this and felt as if I had just got a €20 note, crumbled it and threw it on the ground...thats how doubtful of this product I was. I mean a primer..in water form, how on earth is that going to help my makeup stay on my face all day in work!? Impossible! Fast forward to now. THIS STUFF IS MAGICAL! I don't know how it works but it does, it keeps my makeup on and looking fresh all day as if I had used my actual primer I normally use and I'm still gobsmacked to be honest. Another lovely thing about this is you can spray it on your face throughout the day to refresh your makeup but also to help you to cool down. Keep it in the fridge and it's amazing spraying it on your face in this heat! When I bought this I bought two of my original Smashbox primers and I have yet to open them because I just cannot get enough of this stuff. I'm halfway through this bottle and I'm 100% certain I'm going to buy at least another 2 bottles of this one so I'm stocked up for awhile. 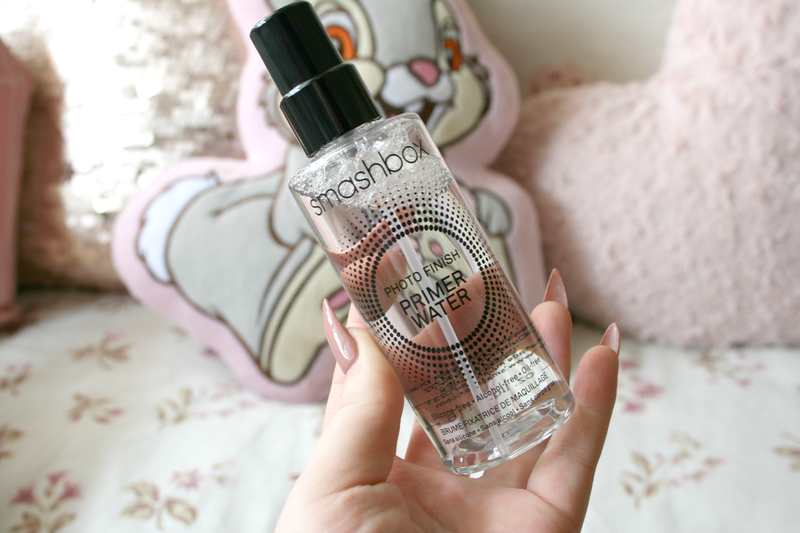 Have you tried the Smashbox Primer Water yet? I tried this at Sephora and couldn't get over the smell. Honestly, I will try it again to see if I an deal with it because it did do good things for my makeup.